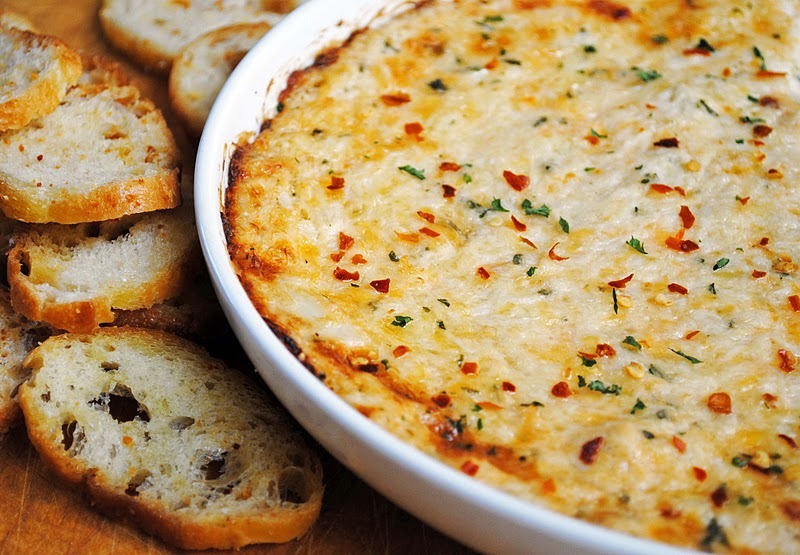 Conveniently easy to make, and a proven crowd pleaser, a crab and artichoke dip is served hot and makes for a delicious savoury dish. 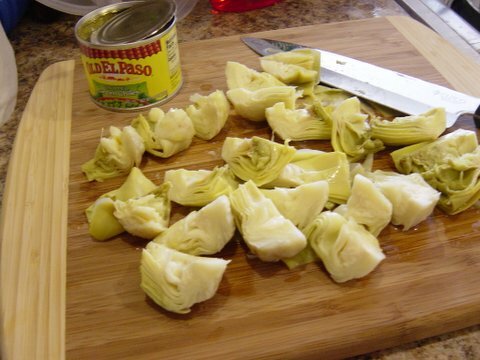 Crabs and artichokes can both be intimidating to handle in their natural state, but the availability of canned artichoke hearts and fresh crab meat out of the shell have made it easier to enjoy these flavours. 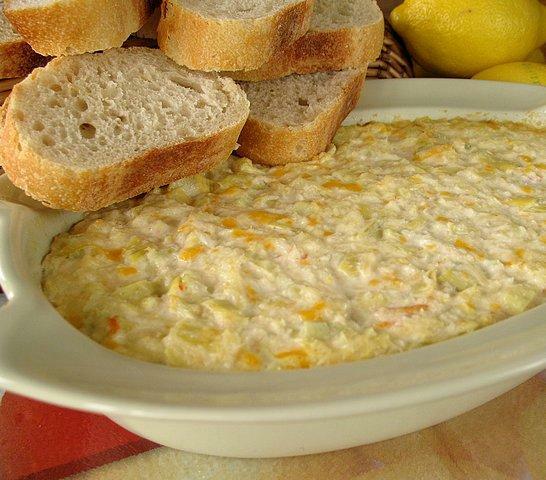 Whether you choose to serve it as an appetiser at a party, a side dish during a meal, or simply make it as a snack, this hot dip will take you little to no time to prepare, and is sure to impress both family and friends. Utensils: Baking dish, baking sheet, pan, knife, large bowl, serving plates and fork. 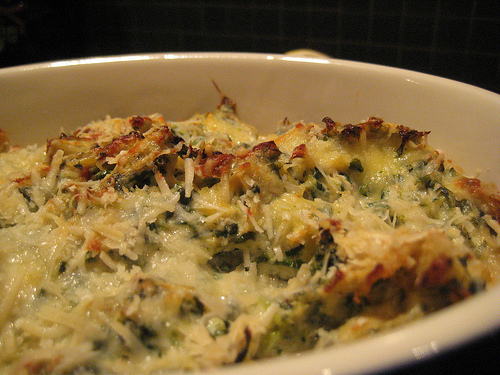 Since this dip needs to be baked to finish it off, you will need to start by preheating your oven to 400 degrees F.
While the oven is heating up, proceed to combine your artichoke hearts, crabmeat, and spinach in a medium-sized bowl. Toss it all together. Then, add in the sour cream, parsley, 1/4 cup of the grated Parmesan cheese, and the garlic and herb seasoning. 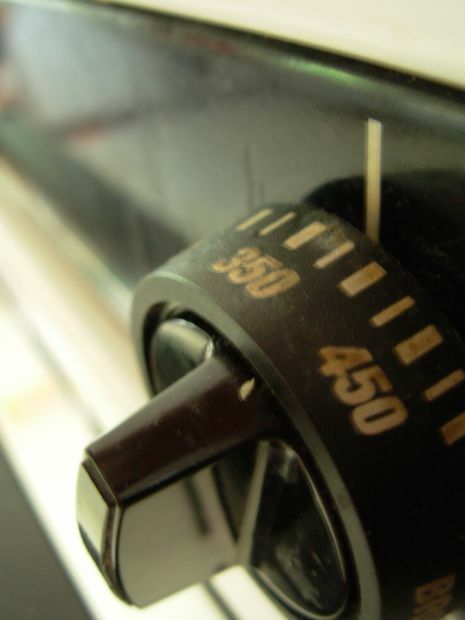 Stir with a gentle hand, until everything is mixed. The mixture is now ready – pour the dip into a shallow, medium baking dish, and sprinkle the top with the remainder of the Parmesan cheese. 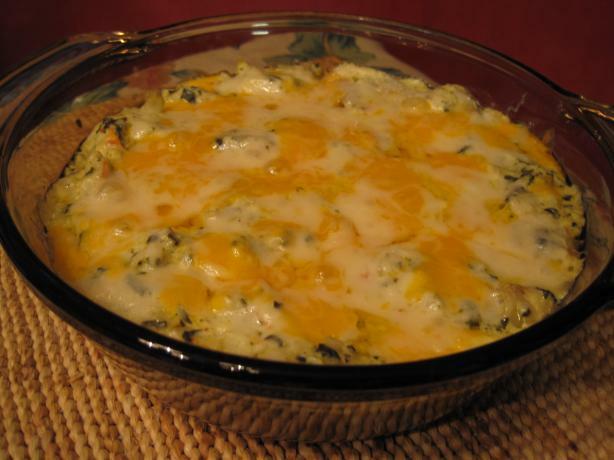 Slide this dish in to the oven, and bake it until the entire dip is warmed through. This should take around 10 to 12 minutes, and you’ll know it’s done when the cheese on top takes on a golden brown colour. Take the dish out of the oven. Garnish with a sprig of herbs, if you wish, and serve it hot with tortilla chips, toast triangles, thick chips, crackers, pita bread, or carrot and celery sticks.